The Seal river adventure follows this outstanding Canadian Heritage River from the subarctic boreal forest to the Polar Bear’s tundra domain at Hudson Bay. Eskers stretch into highways for moose, bear, wolves and the caribou of the Kamanuriak herd. 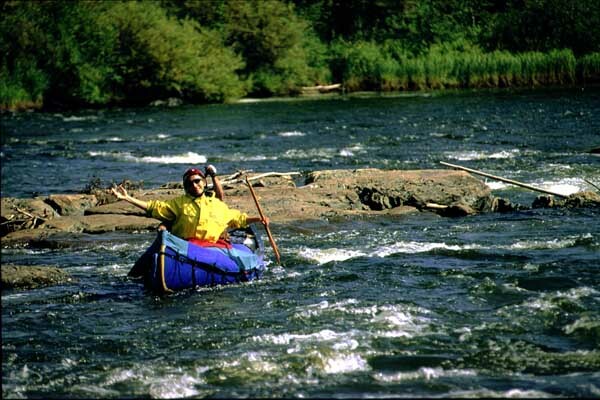 Swift current carries paddlers from one exciting rapid to the next. Seals swim over 160 Km inland to feed on the plentiful grayling. The river’s estuary is the feeding and calving ground for 3000 beluga whales. Churchill as well as air transport from Winnipeg. Dates:  August 11 - August 24, 2011. Skill level:  Some canoeing experience recommended. Additional trip option: complete your Northern experience with a trip to Churchill, Manitoba. An unparalleled natural experience awaits when you combine your wilderness canoe adventure with Churchill. Polar bear, whale, walking and birding tours can be arranged to complete your Northern experience. Starting in Winnipeg, Manitoba we fly into Oxford Lake and begin our descent. The multitude of archeological sites testify to its economic and religious significance for the aborignal groups that lived along its reaches. The Hayes River was the major route to Hudson Bay for fur trading voyageurs and provided access to Canada's interior for many of its most important European explorers. It was also the primary highway for western Canada's first European settlers. Historically significant points are found along its entire length culminating with York Factory (first established in 1684) on Hudson Bay. The Hayes River flows through a significant glacial outwash formation and past numerous eskers on its way to its ever changing delta. Harbour Seals and Beluga Whales inhabit the Hayes estuary with Polar Bears roaming its wild shores. It now exists in virtually the same condition as it did when the first European explorers travelled its reaches. It is an opportunity to travel a wilderness river once used, but virtually unaltered, by man. Our trip ends with a flight out of York Factory, a National Historic Site. in both Winnipeg and York Factory as well as air transport from Winnipeg. Departure: July 21 - August 3, 2011. Adventure writer Anthony Dalton travelled the Hayes River with us in 2000 to gather experiences for his book about the Hayes River. 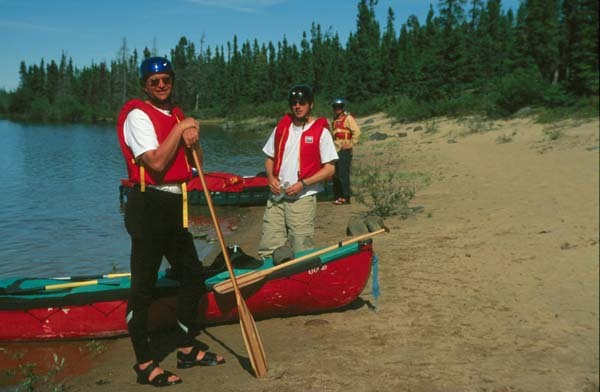 As Wilderness Spirit was assisting the filming of the Discovery Channel's "Great Canadian Rivers" series on the Hayes at the time Anthony was interviewed for the program. Dundrun has just published Anthony's account of his journeys. 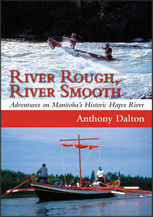 "This is the account of the author's invitational journey on the Hayes from Norway House to Oxford House by traditional York boat with a crew of First Nation Cree, and later, from Oxford House to York Factory by canoe in the company of other intrepid canoeists - modern-day voyageurs reliving the past."